One of the more exciting things to see in television dramas about the legal system is the tense courtroom moment when either the prosecution or the defense (depending on which side is the viewpoint for the show) confronts a witness with a surprise piece of evidence or a surprise witness. The testifying witness breaks down on the stand, confesses their wrongdoing, and the credits roll after a witty comment from the series star. This trope has been with us since the days of Perry Mason, and continues in various degrees with shows like Law and Order to this day. Although there are a couple of exceptions, most of Indiana’s 92 counties have some form of “automatic” Discovery rules that explain what the parties need to exchange. Because the government bears the burden of proof in a prosecution, they have the initial obligation. Once your attorney formally notifies the Court and the Prosecutor that he is going to be representing you, the State has thirty days to turn over their initial evidence file. 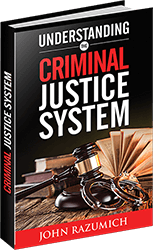 This information is generally basic information about the case that the State intends to use to establish their case. It always contains the Charging Information, Probable Cause Affidavit, Criminal History of the Defendant, Names and Addresses for any Witnesses that the State intends to call at trial, and any police reports that are directly relevant to the investigation of the crime that the defendant was charged with. While it’s basic information, this information usually isn’t available to the defense attorney immediately, and helps with determining WHAT things that your defense team needs to start investigating to build your defense. After the State turns over its Discovery, the defendant has a similar obligation to turn over identical information to the State. The one addition that the Defense has that the State doesn’t is that under certain circumstances the Defense also needs to identify any particular affirmative defenses that it intends to rely on during trial. In Indiana, there’s a specific obligation to disclose the intent to use an Alibi defense, as well as a defense of Not Guilty by Reason of Insanity. There are conflicting court decisions regarding whether a defendant is obligated to disclose other affirmative defenses, but failing to do so in a timely manner has resulted in judges refusing to allow defendants to make certain arguments at trial, such as self-defense if they aren’t disclosed prior to the start of trial. Discovery is an ongoing obligation in criminal cases, and each side is obligated to provide information to their opponent as it becomes available. For example, in drug cases the results of any forensic testing to definitively identify what a suspected drug is are usually not available in that first thirty-day time period. Once the State receives the laboratory reports, however, they’re required to turn the results of that testing over to the Defense in a “timely” manner. In addition to the automatic discovery, both sides have the ability to request that the Court issue subpoenas for physical items that may play a part in the defense or prosecution of the case that aren’t in the possession of the attorneys. In cases where an inventory search of a vehicle turned up evidence of a crime, it’s not uncommon for the defense attorney to send a subpoena to the police department that conducted the search for their General Orders controlling how an inventory search is to be performed. These subpoenas usually allow the party receiving them to have thirty days to respond by either producing the requested items or to formally state that the item doesn’t exist. Finally, both sides have the ability to conduct depositions of the other side’s witnesses. Depositions are effectively miniature hearings where a witness is sworn to tell the truth, the whole truth, and nothing but the truth, just as if they were in open Court. There is a reporter there who takes down everything that was said so that a transcription can be made, but there’s no judge present. The attorney taking the deposition an ask the witness questions about the case and their involvement in order to more fully prepare a complete strategy for dealing with that witness in the event of a trial. Many cases can be won or lost in the Discovery process. Having an experienced attorney who is familiar with the types of investigating that needs to be done for your case is an invaluable resource for your defense. Not all cases require the same types of Discovery, and knowing what should and should not be done on your defense saves you time and money by keeping the focus on the key issues for your case. It can be frustrating that the process takes as long as it does, especially if the defendant wasn’t able to make bail, but taking the time to properly investigate your case goes a long way towards preventing unnecessary prison terms. « Can the Police Lie to You?